Wyndham Vacation Rentals offers summer savings on Orlando villa and vacation home rentals. Wyndham Vacation Rentals is gearing up for the summer 2018 season by serving up a number of travel deals. 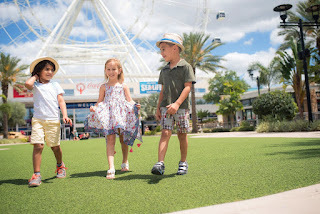 With festive family-friendly events and vacation-ready rentals to choose from throughout the gorgeous Gulf Coast and Orlando area, now is the time to book that long-awaited summer vacation. 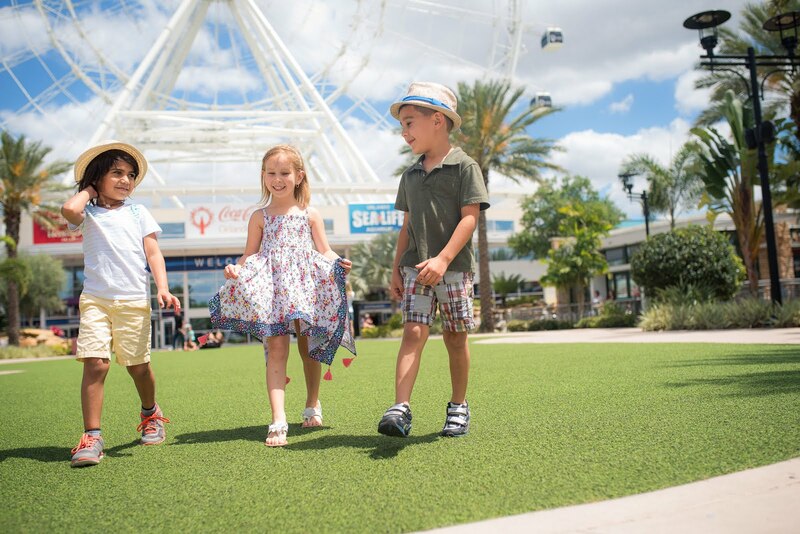 Thrilling theme parks, sensational shopping and championship golf are just a few of the reasons why millions of fun-seeking visitors flock to the Orlando area each year. This summer, Wyndham Vacation Rentals offers two more reasons with these special offers. Book directly through Wyndham Vacation Rentals by June 15, 2018 and travel now through Aug. 12, 2018, and enjoy up to 20 percent off* two or more nights at your choice of either Bahama Bay Resort & Spa or The Caribe Cove Resort. Both properties offer two- and three-bedroom villas, loads of amenities and are conveniently located just minutes from the theme parks. Use promo code ORLANDO2018 online or call (855) 214-9057. If you're traveling with all of your family and friends, spread out in a spacious vacation home. Stay five nights or more between now and June 15, 2018 in one of Wyndham's select Orlando vacation rental homes and save up to 15 percent off* your stay. Use promo code HOMES2018 online or call (877) 893-4491. Adventure, fun, and relaxation are in full supply on Alabama's white-sand beaches. For years, Gulf Shores & Orange Beach have remained a little-known vacation treasure, but more and more families are discovering the 32 miles of soft sand and clear waters that lace the edges of Alabama's southern border to the Gulf of Mexico. Enjoy summer on the area's world-famous beaches with Kaiser Realty's Early Summer Beach Savings deal. Travel between May 24, 2018 and June 15, 2018, staying three nights or more in select Gulf Shores & Orange Beach properties, and enjoy up to 20 percent off*. Use promo code EARLYSUMMER18 online or call (855) 436-9272. Spanning from action packed Panama City to pretty Perdido Key, Northwest Florida is brimming with events, attractions and diversions for everyone in the family. From big game fishing tournaments, al fresco music concerts and theater festivals to pirates on parade and fireworks displays, there's no shortage of things to do. ResortQuest by Wyndham Vacation Rentals offers the largest selection of accommodations in Northwest Florida from contemporary, Gulf-front condos to spacious, beachfront houses. Soak up the sun and plan on the ultimate relaxa tion with ResortQuest's Beaches Summer Special Offer. The longer you stay, the more you save. Travel now through August 5, 2018 and save up to 10 percent off* four nights and up to 15 percent off* seven nights. Excludes travel June 29, 2018-July 6, 2018. Use promo code BEACHES online or call (866) 504-6018. *All special offers are based on availability and restrictions and black-out dates may apply. All special offers may be booked online at www.wyndhamvacationrentals.com. About Wyndham Vacation Rentals. Wyndham Vacation Rentals, the world's largest professional manager of vacation rental properties, is part of Wyndham Destination Network and the Wyndham Worldwide family of brands (NYSE: WYN). Backed by one of the world's largest hospitality companies, Wyndham Vacation Rentals provides access to more than 117,000 vacation rental properties in nearly 650 unique destinations worldwide. Wyndham works closely with property owners to ensure all rentals meet its standards for customer service, quality and comfort. More than 25 regional rental brands fall under the Wyndham Vacation Rentals umbrella including Hoseasons, James Villa Holidays, Landal GreenParks, Novasol, and ResortQuest. Through this collection, Wyndham delivers distinct vacation experiences ranging from beachfront condos, private homes and villas to castles and houseboats. Many properties offer kitchens, washers and dryers and other home-like conveniences along with maid service, spas, fitness centers, and golf courses. For additional information visit our media center or wyndhamvacationrentals.com. Also find us on Facebook, Twitter, Pinterest, Instagram and Google+.